Well, the day has come. Champion Standing is less than ninety days away. You can preorder the eBook at Amazon for only $4.99. The paperback will be available in January, with a sticker price of $9.99. I’ve decided to go with the “red” cover for the Amazon eBook and a slightly modified version of the ARC white cover for paperback and the rest of the e-tailers after Amazon has it for 90 days. 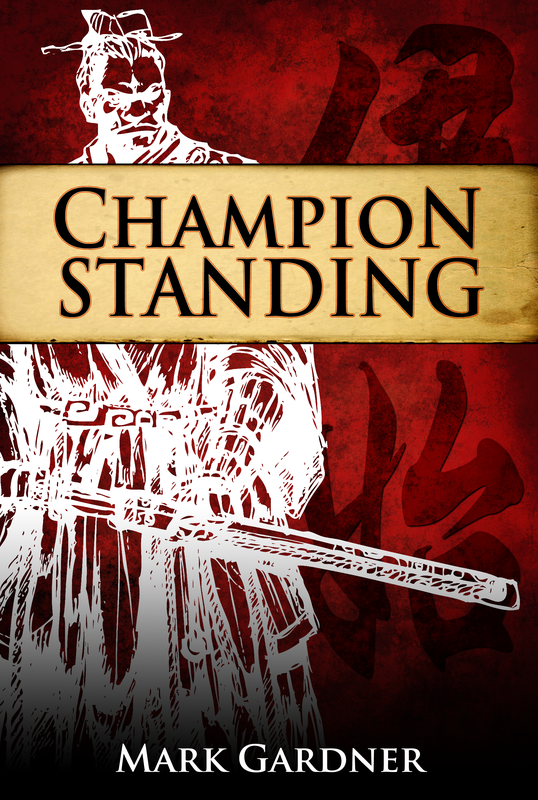 This entry was posted on Wednesday, October 15th, 2014 at 18:27	and tagged with Amazon, Champion Standing and posted in Book Stuff, Promos. You can follow any responses to this entry through the RSS 2.0 feed.